A business thrives on promotion and marketing. Internet marketing and digital promotion play an equally important role in the growth of your business. If you already have a business website, it is about time that you make a Wikipedia page for your business. Why Is It Important To Have A Business Wikipedia Page? Unless you’ve been living under a rock, you’ll know that Wikipedia is one of the best repositories of information online. It’s something like the Encyclopedia Britannica (for those who lived in pre-internet times). Because Wikipedia is curated by multiple experts and anyone with an account can make changes to a Wikipedia page (although not all changes are accepted), it is even better than an encyclopedia because it contains all the knowledge of multiple experts instead of just one person. Because it is an expert-curated page, the information in Wikipedia is usually reliable and peer-reviewed, so Google ranks Wikipedia pages at the top of the search results. 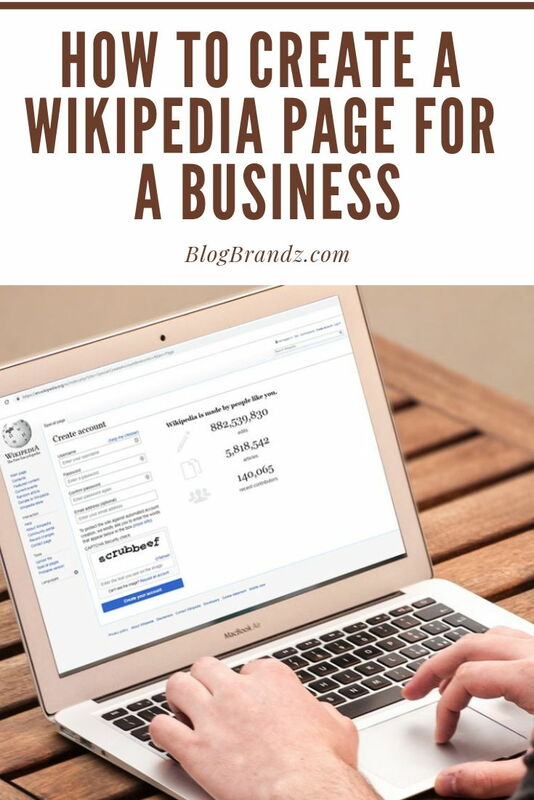 I’m sure your next question is, “Can I create a Wikipedia page for my business?” Yes, you can, so read on to understand how to create a Wikipedia page for a business. For a person or business, a Wikipedia page is the most relevant and popular page on Google search results. If you have a business Wikipedia page, it’ll not only increase your brand visibility but will drive more traffic to your website. Wikipedia takes into account every detail about a company, both good and bad, and provides comprehensive information on it. Your product or business Wikipedia page will help your customer understand your business in a more objective and authoritative perspective. It’ll give them an in-depth analysis of your business and the history of your business or products on offer. A business Wikipedia page will give a thorough insight to users on how your business is done and what you actually intend to do. A clear concept works for both users and people searching for a product. A Wiki page, just like social media marketing, is like a bridge that connects customers and brand. It’s important to create a Wikipedia page for your business to get the right kind of exposure in the digital space. How does someone get a Wikipedia page? Who can have a Wikipedia page and can anyone have a Wikipedia page? What does it take to get a Wikipedia page? How to create a Wikipedia page? How to add your details in Wikipedia? How to get a Wikipedia page approved? In the steps below, I will answer all these questions for you. It’s optional to have an account with Wikipedia but having your own is important for creating a page. When you edit a page on Wikipedia, many people can view your IP address. That’s not a safe option for editing so having your own account is certainly a good idea. If the editing shows as anonymous, it’ll affect the users who come and read the page. Wikipedia also blocks an IP address that edits on a random basis. You need to build a good reputation and image of your company, so start by creating an account of your own first. You can start by creating your own account by clicking on ‘Create Account.’ It’s on the right corner of the Wiki page. Once your account is made, you can freely edit or create new articles for your business page. Having your own account will help you to edit and follow other pages without any issues. 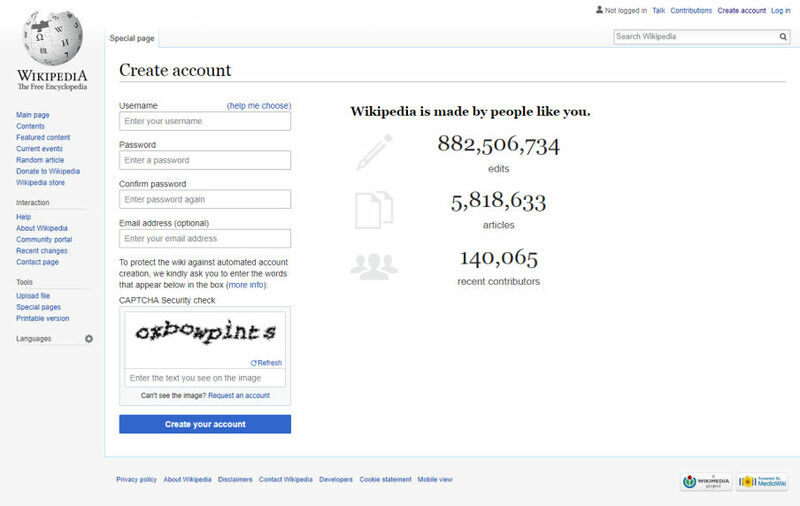 If your account is registered with Wikipedia, your source is more reliable and transparent. 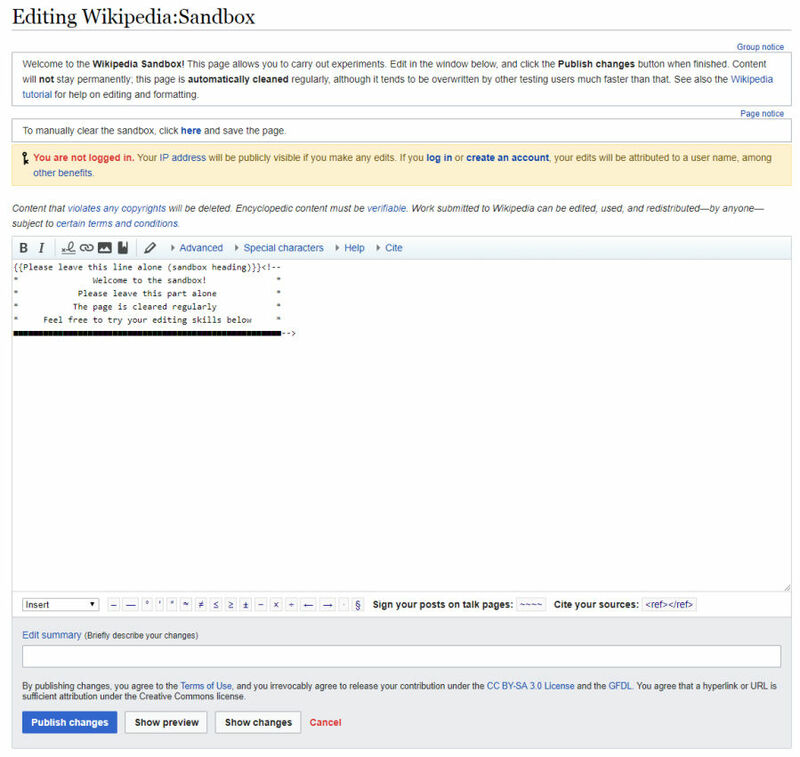 You’ll be able to gain the right trust of Wikipedia that considers many factors for editing along. Authentic edits play the most important part on Wikipedia. When you make an account, start with editing the pages. Contribute to about ten to fifteen edits from your account to get noticed. If your edits get confirmed without any review, it’ll surely make an impact on your page. There will be a lesser chance of your page being deleted. You can start with normal edit from the ‘Edit a Page’ tab that is on the right corner of the Wiki page. For small portion editing, you can select only the links of paragraphs. There is a word-editing option on Wikipedia, so start with words. The idea is to get hold of editing options so that you can create your business page with precision. Wikipedia works on subject matter that is original and authentic. When you search for sources, you trust that site to offer you the most accurate answer. It helps to maintain the same correctness in the contribution of content. You need to decide on the subject matter to follow while you create a page of your own company. Your page should be original to get featured on the wiki page. There should be no repetition. If your page is different (authentic), then it’ll get published in no time. It is important to gather all the sources when you finally create a page. This will help to save your time as verified sources are important in Wikipedia. Check for original content and search for your company. You can do a quick search on the Wiki page for this. Go to the search bar on the top corner of the page and type your company’s name. You’ll see all the results with names. There are very few chances for similar names being displayed in the search result. If your page is unique, you’ll be able to use the original information that is fit for your page. You don’t have to worry that the readers may confuse your Wiki page with other similar pages. If there is no result, you can move to the content part of the page. This is the final step to create your own Wikipedia page. You can click the option Wikipedia article wizard to start. In this option, you can start writing your own content for your business page. Another option is to practice editing in the sandbox. Once you start writing your page, you can save a draft in a text editor for future references. Or, you can directly write in the article wizard of Wikipedia page. Most people write in the word document and then paste in the Wikipedia wizard. A great interface also lets you format the text. On the technical part, formatting the page using Wiki codes takes time and you must have technical knowledge for that. If you know about coding and HTML language, you can format in the coding part. This can also be time-consuming if you are creating a new page. Once you are done with the writing part, you can submit your page for review. Wikipedia goes through your content and checks for notability and originality. It decides whether your page can be a Wiki page or not. This process can take a few days or even a few months. It normally takes a week’s time to get a response from Wiki. If it’s approved, it’ll be uploaded on Wikipedia page. But, this also requires some editing. Editors can edit the title or content according to information on the page. Constant monitoring of the page can be done after this process of review. Along with content, you also have to give citations. Citations are the number that you see beside the text on the Wiki page. It’s the reference to the links you got information from. Your citations should always be right so that your page is trustworthy and authentic. Your company page needs to be linked to reference citations. Also, add Wikipedia backlinks to your websites that include guest sites. Citations are important for overall creditability of a Wiki business page. Pay heed to the update part, as you need to constantly update your business page with new relevant information. This will help to maintain the integrity and transparency of your page. Your business needs constant marketing and promotion. In this internet savvy age, you market your product through social media sites and your website. But, having a business Wikipedia page is equally important. The Wiki page is the most trusted page and the information you upload on that page is original. This will create trust and goodwill for your business. Keep the content on the page original and update it with new information. Updating the Wiki page is important so that you reach your target audience. But before you get a Wikipedia page made, keep in mind that the page is curated by the public, so you have little or no control over the kind of news that gets approved. If there is negative publicity, that will get featured on your business Wikipedia page too. I hope this answers the question of how to create a Wikipedia page for your company. Do you have a business Wikipedia page? If not, then I hope these tips have shown you how to get on Wikipedia.